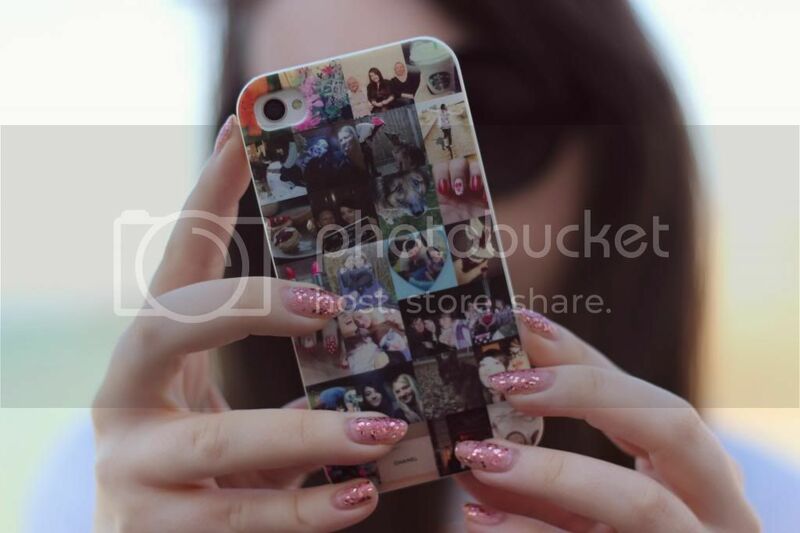 I'm loving- My custom phone case Casettagram | S J M W E L L - Fashion, Beauty & Lifestyle blog. I'm pretty obsessed with capturing moments and always have been, I used to be one of those who plasters disposable print outs all over their bedroom walls of special days/nights out and favourite photos with friends. So of course, it was only fitting to have some of my favourite photos on a phone case. I really love my case and when I first got it I couldn't stop staring at all the photos. It's meant to be from photos from your Instagram account (some which are on mine) but since I haven't had my account long to have that many photo's I added some good old favourite photos of mine. Casettagram is super easy to use and it only took me a little while to fill up my online design case. You upload your photos or connect it to your Instagram account, choose what design you want (they even have a cute 2 half heart for you and another person to have) and just click and drag the photo's to where you want them placed, easy peasy. The delivery was also really good and arrived in a little box, it's a really good quality plastic case also. I would definitely recommend this to anyone, especially if you love capturing moments and photo's.